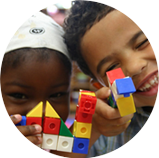 Evidence from across the world demonstrates that access to early learning stimulation in the preschool years significantly enhances the ability of children from impoverished backgrounds to benefit from schooling. 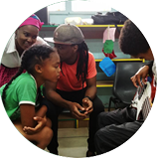 In South Africa, there are roughly five million children under five years of age. Unless things change, half of these children will never be exposed to any form of out-of-home learning experience. Therein lies a massive opportunity, if we give every child the benefit of quality early childhood development, especially in underprivileged communities. Evidence from across the world demonstrates that access to early learning programmes in the preschool years significantly improves the ability of children to benefit from schooling. 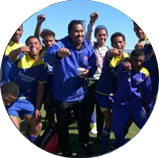 It reduces the risk that they will drop out of school and increases the probability that they will be employed as adults. 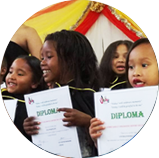 UVIWE’s ECD’s offer quality early stimulation programmes that meets the requirements of the National ECD Curriculum Framework. 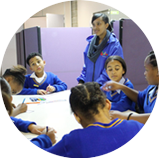 Our stimulation programme focuses on the child’s cognitive, emotional, social and physical development. 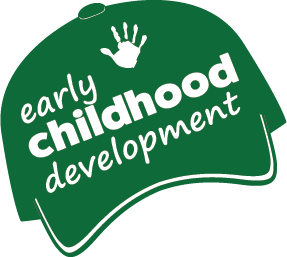 Activities are age appropriate and carefully selected according to the child’s developmental stage & ability. We make use of structured theme books, educational posters, activity corners, outdoor play equipment and educational outings to enhance their developmental growth. 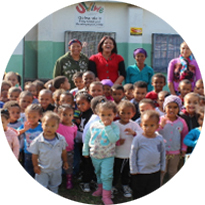 UVIWE’s ECD centres are committed to annual health checks for the children. 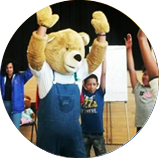 LFE HEALTH COLLEGE assists with a basic health assessment to identify children with health risks and to assist with referrals to medical specialists. Screening children for developmental delay and disabilities is an essential service. 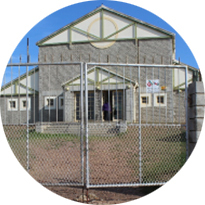 If left unattended, they constitute barriers to learning and result in preventable poor educational performance. Road to Health booklets must be up to date, children must be fully immunised and their growth monitored. HIV-exposed children must receive PMTCT treatment. Essential social services defined in The Essential Package include birth registration, social protection (e.g. Child Support Grant), and protection from maltreatment. Birth registration is a constitutional right that should be secured as early as possible, as it is required to access services. These must be complemented by preventive services, such as parenting programmes and caregiver support. 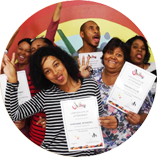 UVIWE involves the parents of children in parenting workshops and offer support for children without birth registration or medical cards. Nurturing parenting during the first years of a child’s life has positive effects on all aspects of child development. Effective parenting is often compromised when poverty and other stressful environments are present, therefore increasing the risk of child neglect and under-nutrition. 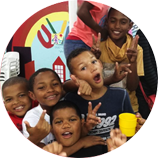 UVIWE offers positive parenting programmes and workshops to ECD children’s’ parents to help them create a loving and nurturing environment in which their children can flourish. 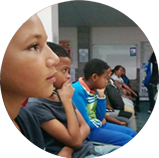 UVIWE, in partnership with the HILLSIDE DOJO is running weekly karate classes for the age group 3-5 years. During the karate lessons the kids focus on physical development milestones, as well as concentration, discipline and exercise. The children thoroughly enjoys the “Little Samurai’ “classes. 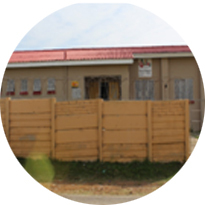 WHERE ARE UVIWE’S FOUR ECD CENTRES?